The only thing I think about right now is that there are approximately 124 days, 2,996 hours, 179,761 minutes and 10,785,690 seconds left until players report to Spring Training. That means I have ahead of me approximately 124 days, 2,996 hours, 179,761 minutes and 10,785,690 seconds of sheer boredom and misery. I know, I should really get a grip. Perhaps join a 12-step program? But I simply cannot fathom what those 12-steps might be that would be able to lift me out of this funk. To make matters worse, there are many impending decisions on the horizon that will greatly impact the future of this Phillies team. There are seven free agents the Phils have to make decisions on: Jimmy Rollins, Ryan Madson, Roy Oswalt, Brad Lidge, Raul Ibanez, Brian Schneider and Ross Gload. My thoughts are that the options on Lidge and Oswalt’s contracts will not be picked up nor will either player be resigned. Neither lived up to expectations this year and injuries were a huge problem. Madson’s agent is Scott Boras. That being said, the Phillies will not be able to afford to resign him. Plus, rumor has it that Madson’s wife hates Philadelphia. He is gone. As for the other four, Gload and Ibanez likely will not be back. This team needs to get younger and healthier. 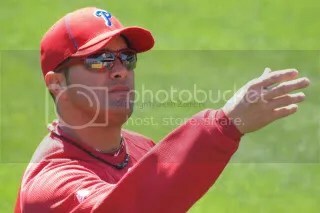 The Phils will probably resign Schneider at a discount as his offensive numbers are exactly that – offensive. And Rollins will hopefully return after some intense negotiations. I am currently in the process of peeling myself out of this dark, hopeless abyss where I am blubbering uncontrollably while cowering in a corner. This disappointing season has been difficult to cope with, but we must all make a commitment to try. I have embarked on a mission to cleanse myself of the horror and grief surrounding the untimely end to the Phillies 2011 Season. I simply cannot continue to carry this overwhelming sense of emptiness and loss around much longer. It is like a funeral around here, and that is never much fun. However, I have still not gotten past the Denial stage. Frankly, I refuse to believe this actually happened. How did a team with such talent managed to get knocked off in the first freaking round of the playoffs? No. I tell you it is just not possible. 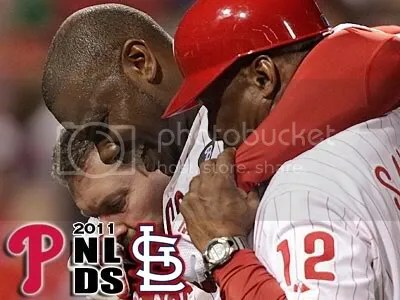 I will not cry over the death of the 2011 Phillies because I refuse to acknowledge that they are gone. If they were actually gone, that would mean that free agents like Jimmy Rollins, Ryan Madson and Raul Ibanez could be gone for good. That would also mean, so I have been told, that no fewer than five Phillies are headed for off-season surgery with real potential to totally screw up next season as well. 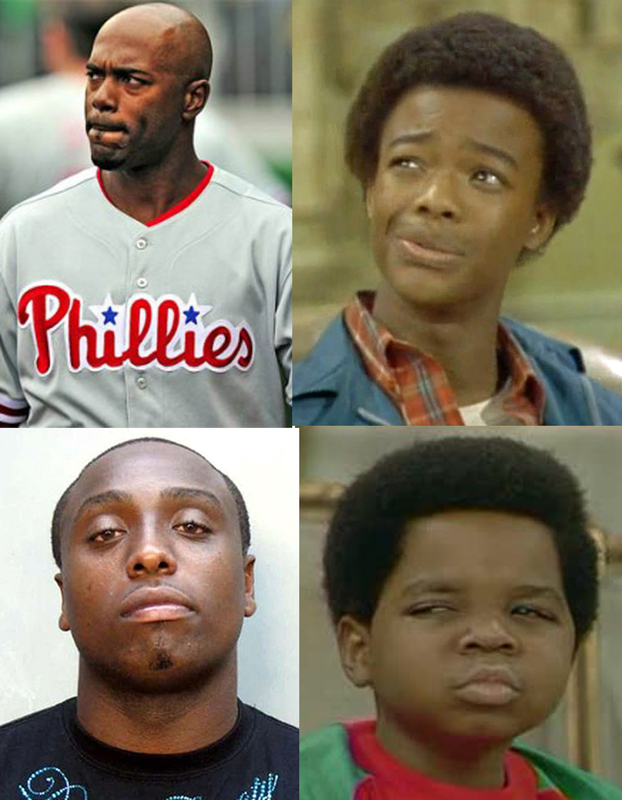 Ryan Howard needs Achilles tendon surgery, both Placido Polanco and Hunter Pence have sports hernias and Ross Gload needs hip surgery. But maybe the biggest bombshell of them all is Cole Hamels who will have TWO surgeries back to back starting on Friday. Hamels will have “loose bodies” removed from his elbow and then a week later, inguinal hernia surgery. Oh please, say it ain’t so. 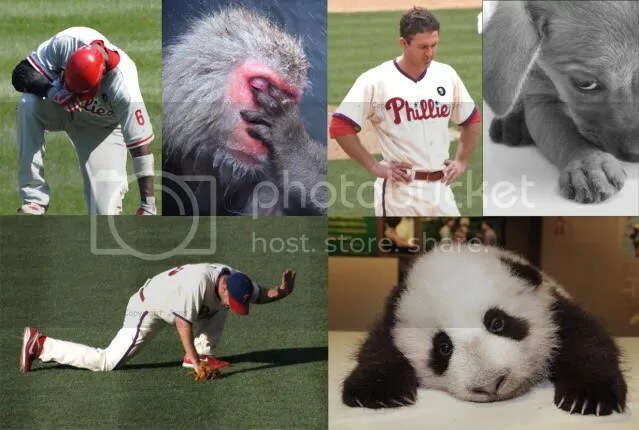 No one even knew Hamels was hurt! And Howard? He could miss the start of the season. No, no, no….this is just NOT happening!